Get more value at the award-winning Quality Inn Gettysburg Battlefield hotel in Gettysburg, PA, which lets you relax and focus on the people and experiences you came for. 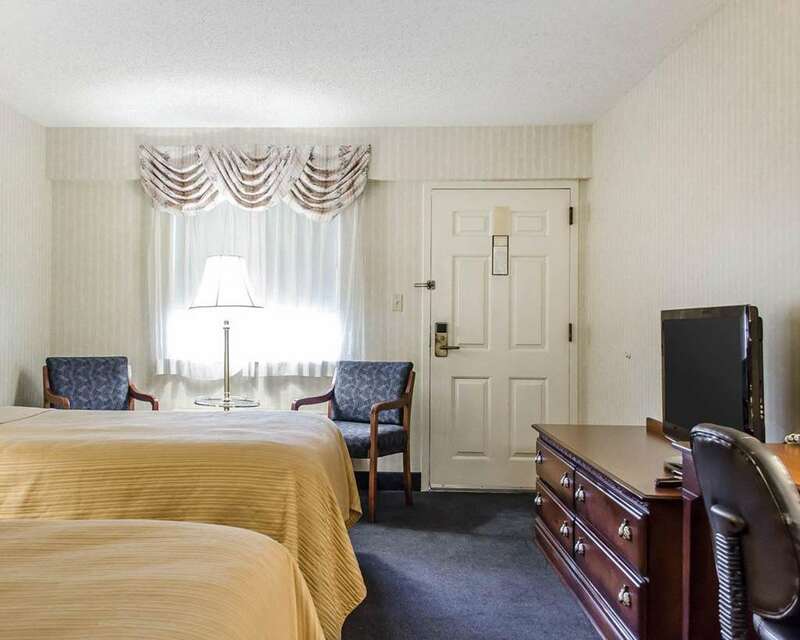 A recipient of the Choice Hotels Preferred Platinum Award, we are conveniently close to Gettysburg National Military Park Museum, Soldiers National Cemetery and Gettysburg College. Amenities include free WiFi, free parking, free breakfast, a fitness center, indoor and outdoor pools. Cozy guest rooms feature a refrigerator, coffee maker and TV. Also, earn rewards including free nights and gift cards with our Choice Privileges Rewards program. Valid CC required for reservation--if declined, we reserve right to cancel reservation.